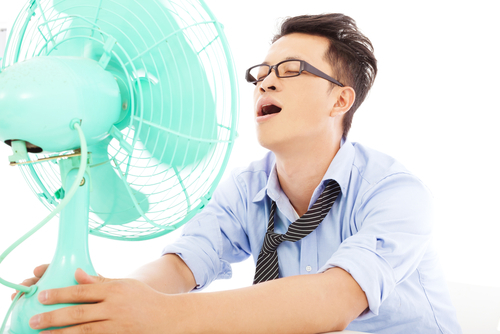 With the help of a fan, you can feel cool with the help of air flow and you can feel comfortable as well. But sometime people stay in dilemma and they do not know if they should chose a ceiling fan or they should buy a standing fan for their home. Well, I would say ceiling fan and standing fan both have some pros and cons in it and here I am sharing few details about same that can help you take your decision in a wise manner. Positioning: As name explains it all a ceiling fan always remains there at the ceiling and a standing fan remain standing on the floor. This difference of positing allows you to have different kind of air flow as well. With ceiling fan you get the flow from top to bottom and it gives you feeling of cooling. At the other hand a table fan stands in front of you and it flow the air in the horizontal direction. The biggest difference of its positing is that you can change the position of a standing fan as per your choice, or requirement. But if we talk about ceiling fan it always remain fixed a place and you cannot easily change its position once it is fixed. 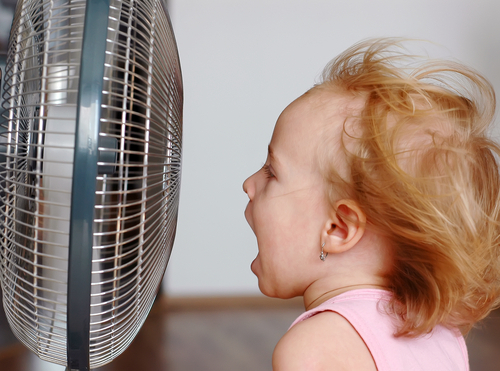 Electricity efficiency: In Singapore almost everyone can have an air-conditioning system as it is one of the most essential instruments to get the cooling. But an AC consumes a lot of electricity and that is why people use fan along with air conditioning system so they can reduce their electricity bill. If you are using a ceiling fan then you can set the temperature of your AC up to 4 degree higher and then also you will get equal amount of cooling and comfort. That means you can save electricity using ceiling fan along with your AC. However, you will never have that kind of comfort and electric saving both with a table fan. Also, if we ignore the Air conditioning part then also, table fan consumes more energy compared to its ceiling counterpart. Safety details: When we use a fan then most of the people will raise question about its security. If a ceiling fan is installed properly and it is installed at a safe distance the you don’t have to worry about the safety part at all. A properly installed ceiling fan will never fall down on you and nor it will give you any other complication. However, if it is not installed in a proper manner and if it is installed at a place that is in your reach then it will not be safe for you. We can say the same thing for standing fan as well that if you get proper stand and if you keep at a safe distance from your then it will be safe for you. But if it is at a close distance from you or it is not covered properly then you might get injured with it. So, we can say both the options will have similar concern for safety part. Look and style: as far as style part is concerned, you can get various styles by both the options. Since, you can have so many options in standing fan as well as in ceiling fan so you will be able to get good looks in your room with both the options. However, if you are planning to use a fan for interior decoration then you will not be able to get the best outcome with standing fan as its position will keep changing as per needs. At the other hand, a ceiling fan will help you get better output with this requirement in easy manner. You can get some special kind of ceiling fan with lights or special design and you can choose a nice option that will help you in this requirement. So, you can choose an option according and you can get the best output with it in a wise manner. Cost difference: These days you cannot give a fixed statement about the cost of any fan. But as a thumb rule the cost of a ceiling fan is always higher compared to standing fan. In most of the cases a ceiling fan will cost you double amount compared to a standing fan. Also, if you want to use a ceiling fan then you need to get some help from experts that can install and configure the ceiling fan for you in proper manner. At the other hand, you have no reason to worry about the installation parts because a standing fan is easy to use and you do not need any extra efforts for its. So, we can say cost wise standing fan wins the race compared to ceiling fan. Also, if we talk about the related complications or troubles, then both the options can have some complications in it. With improper installation a ceiling fan can wobble and it can make weird sound while working. Similarly, if covering of a standing fan is not in proper shape or if you do not close it properly then you might end up having bad sounds from it. So, when you choose either of these options make sure you keep all the things in your mind and take your decision wisely. The ceiling fan has been around for decades as they play an important role of cooling interiors in hot weather. Unlike prior designs that were unsightly and drab, modern fans have improved to become aesthetically appealing to fit in with the décor of the room. They are also durable and can serve you for years to come without experiencing any problems with the equipment. The trick is usually to buy the right one by taking into consideration important factors like the brand and the size of the room and the size of the fan. Such simple considerations can make a big difference in determining whether you will be cooled or not, therefore, don’t take it lightly. Fans are known to conserve energy due to advanced manufacturing features that ensure that they use as little energy as possible when they are working. Additionally, small measures like turning them off when not in use and keeping them on when only in use goes a long way to save energy. Contrary to belief that they keep the room cool in absentia, fans work to cool the body not the room thus, wise up and keep them off. Fans are used to cool indoors which means there will be no dust to blow inside a room. The only dust you should be worried about is the one on the ceiling fan itself which accumulates over time. To get rid of this matter, ensure to dust your equipment frequently so that you don’t get affected by this dust that sticks on their surfaces, more so the blades. Modern fans are used as light fixtures that are used to glam up a room. You get to use your fan as a decoration for your light, killing two birds with one stone. Choose from an array of well-designed fans from different well-known brands to suit your needs. The colors, size and styles available will blow your mind as to how far this cooling equipment has evolved. Such fans can be pricier than their plain counterparts but their extra features make them a worthy buy. 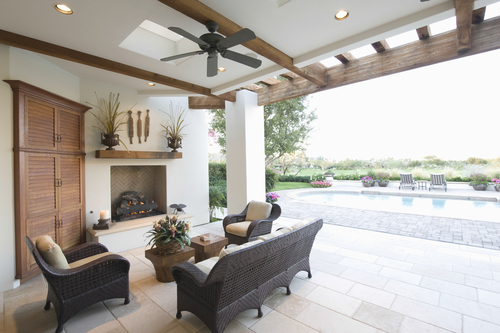 Gone are the days when the hallmark of the perfect ceiling fan was its huge blades that dwarfed the room to become the first fixture you laid eyes on. They sucked away the beauty of the room with their ugly blades which presented a unique challenge to many people who needed them. Nowadays, their designs have been streamlined to become slimmer and more appealing to the eyes. Although large rooms require large fans, this can be done with a little care not to go too far. Choosing a fan design that is sleeker is thus advised as it will play the same role without taking over the room. Many years ago, the noise fans produced from their motors were a big nuisance as they ruined the ambiance of the room with their endless loud humming. Facilities like schools and offices that require a quite environment suffered the most from this. Sleeping was also interrupted by having this equipment in your bedroom. The advent of technology has however worked in favor of such people who were suffering, by providing a solution. Apart from the humming they produce while sluicing the air, fans don’t make any noise at all. It’s actually soothing having one in your bedroom as it will lull you to sleep with its silent humming and cool air. Fans require zero maintenance to keep them running at their optimum which makes them a preferred choice. For this, you will need to purchase one from a quality brand which should assure you that your product is top of the line. Such brands manufacture their fans in such a way that their bearings are sealed and lubricated. A high quality motor not only curtails noise when the fan is in operation but it will also last long without the need to maintain or replace. Also, look at the finish of the fan during purchase, if it looks like it will fade or spot easily, then don’t buy. Poor engineering will let in dust into vital components of the fan which will cause it to break down prematurely. Substandard materials used on the blade and improper sealing may cause the blades to accumulate moisture. This can cause the fan to wobble due to poor balance, calling for immediate maintenance. A quality brand will guarantee you easy to maintain fans attained through rigorous manufacturing and testing standards. Ceiling fans fit anywhere in any room be it in a home, office, factory or warehouse. As long as the indoors need cooling, you can rely on them. The only specification you need to consider is the type of room you want to cool plus its size and purpose. This way, you get to choose the correct equipment for the job. Large rooms can for instance adopt larger fans spread across the room to ensure you don’t leave a “blind spot” where cool air does not reach due to the inadequacy of the fans. Although experts in the field recommend that fans be used together with air condition systems, not everyone can afford AC. This is because of the high cost that is required to buy and install them which is higher when compared to ceiling fans. They are also cheap to maintain as they only require dusting with a cloth while an AC needs cleaning its filter which needs extra care to be taken to avoid damage. Looking at these key factors, ceiling fans are the better option for many people as they will cool their rooms at an affordable rate.Looking at all these awesome features, it is almost unimaginable that a few years back, fans were tolerated because there were no other options. Now they are considered a cool and must-have equipment in many areas as they provide a cooling solution without spending too much time and money on them.